That essential part of any Christmas celebration, the tree, can provide a lifetime of memories when you choose a living tree to plant outdoors after the holidays are over. Moreover a living Christmas tree is like a global present helping to offset the effects of global warming and climate change. However a living tree requires special care to ensure its survival. Select a tree from a reputable local grower which can suggest a variety suitable for your area. In some cases, an artfully-trimmed shrub can be used for a small table-top “tree.” Select a balled and wrapped or potted tree or shrub, and take care to prevent the root ball from drying out. Plan to keep the tree indoors no longer than a week or so. Ease the tree (or shrub) into warmer indoor temperatures by degrees in the days before Christmas, moving it from outdoors to an unheated porch or garage. Whether you select a balled and wrapped or potted tree, take care to water it regularly, but do not keep it soggy wet. Heated rooms can quickly dry out a tree or force it into unseasonal growth. Provide plenty of direct sun, and position the tree away from direct heat sources. 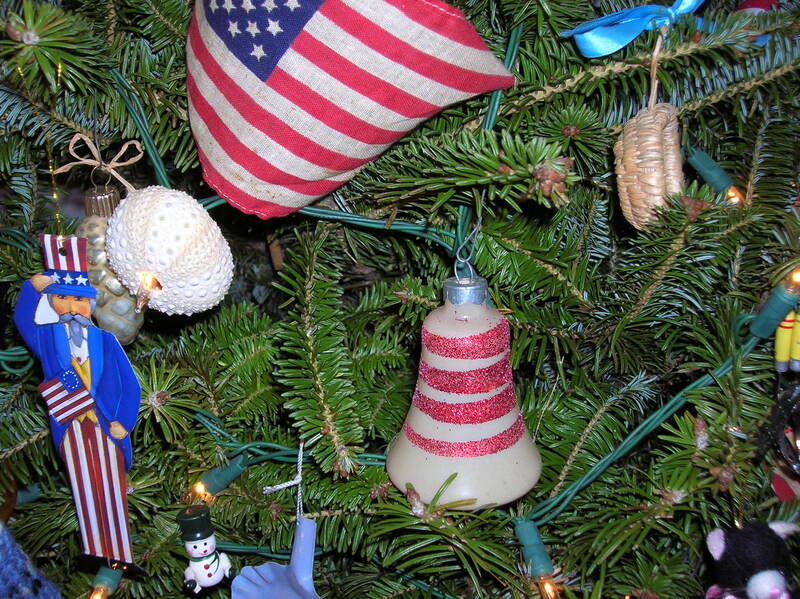 Do not leave the tree lighted for more than an hour at a time. When you are ready to move the tree back outside, gradually reintroduce it to the outside temperature. (In colder areas, it would be a good idea to plan ahead and prepare a planting hole before the ground freezes.) Remove wrappings and burlap and loosen the tree’s roots, planting it as you would any new tree or shrub. And don’t forget to water it. In the years to come you can decorate the tree with seed and fruit ornaments for wildlife and use LED Solar Light Strands that offer illumination without the hassle of electric cords. Not only will you save on your electric bill, but LED Solar Light Strands give you lots of design flexibility. Powered by free sunlight, the LED Solar Light Strand includes 100 bright green, blue, red and yellow LEDs. Choose from normal illumination or six additional blinking settings. The lights will stay lit for eight to 12 hours, depending upon daytime sunlight conditions. The small solar panel charges two Ni-MH AA rechargeable batteries, which are included. For more information, visit http://www.naturehills.com. 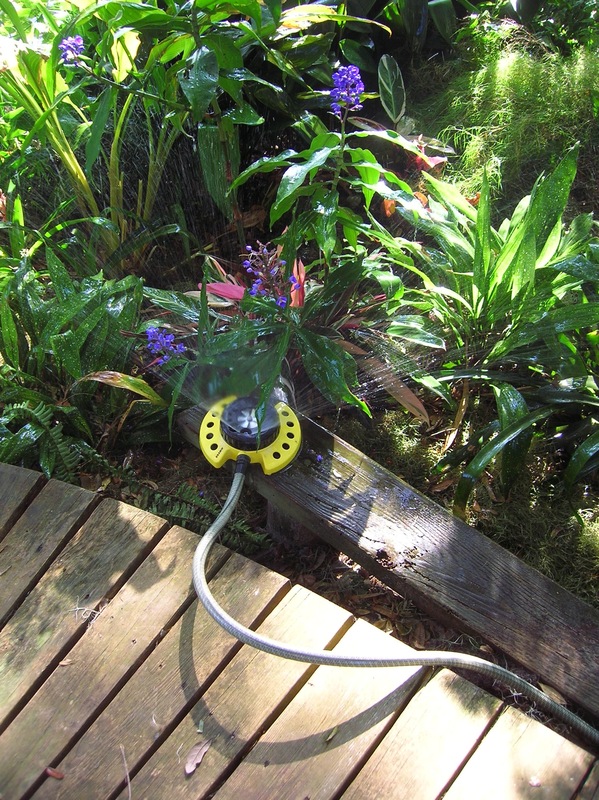 Water the garden, not the walkway with one of Dramm’s versatile ColorStorm Turret sprinklers, just one of a host of watering devices that handle a range of irrigation tasks with style and panache. Note the circle of pattern choices on the top of the brilliant yellow sprinkler head, like this one that is just a click away that waters the garden, but not the nearby walkway. Other choices allow circular patterns, square and more. Just think of all the ways this sprinkler is going to work for you. It is hard to imagine how a simple thing like a sprinkler head can make so much difference.